OUR SITES ARE BOTH BEAUTIFUL AND FUNCTIONAL. WE FOCUS ON USER CENTERED WEB DESIGN AND ON MEETING THE BUSINESS OBJECTIVES OF OUR CLIENTS. Our clients are blue-chip, enterprise level firms that want fantastic work, impeccable quality and delivery at a breakneck speed. Our web design and application development team constructs easy to use front end designs with intelligent back ends that meet specific business criteria. Onit’s services include web development, application development, social media marketing, SEO, video development and more. 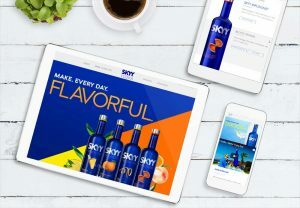 We integrate cutting edge multimedia, creative, database marketing and technology into experiences that increase awareness, share information, create new bonds, improve efficiency, entertain, drive brand awareness, and yes, also increase revenues & sell products! WE’VE DELIVERED GLOBAL ECOMMERCE WEBSITES FOR RALPH LAUREN, TUMI, HAGGAR AND MANY OTHERS. Whether it’s Magento, WooCommerce, Websphere or any other ecommerce system, our web design team has you covered. If it’s a quick fix; we’ll fix it. If it’s a customization tool; we’ll customize it. Let our e-commerce professionals evaluate your business needs and put an e-commerce web development solution together that is specifically designed for your company. WE HAVE A SPECIFIC EXPERTISE IN WORDPRESS WEBSITE DEVELOPMENT. Our web developers can not only make any web design work within the WordPress CMS; but we can also ensure you’ll have a functional and easy to use CMS that will be specifically designed for your business. If you’re looking for WordPress experts, the Onit Digital team has you covered!